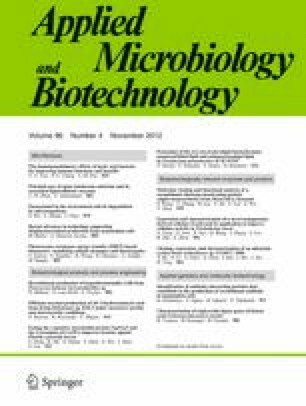 Pathogenic biofilms have been associated with persistent infections due to their high resistance to antimicrobial agents. To identify nontoxic biofilm inhibitors for enterohemorrhagic Escherichia coli O157:H7, the spent media of a 4,104 Actinomycetes library was screened. The culture spent medium (1%, v/v) of plant pathogen Rhodococcus sp. BFI 332 markedly inhibited E. coli O157:H7 biofilm formation without affecting the growth of planktonic E. coli O157:H7 cells. Rhodococcus sp. BFI 332 produced significant amounts of indole-3-acetaldehyde and indole-3-acetic acid, and the former of which reduced E. coli O157:H7 biofilm formation. Global transcriptome analyses showed that indole-3-acetaldehyde most repressed two curli operons, csgBAC and csgDEFG, and induced tryptophanase (tnaAB) in E. coli O157:H7 biofilm cells. Electron microscopy showed that spent medium of Rhodococcus sp. BFI 332 and indole-3-acetaldehyde reduced curli production in E. coli O157:H7. The spent medium of Rhodococcus sp. BFI 332 also significantly reduced the biofilm formation of Staphylococcus aureus and Staphylococcus epidermidis. Overall, this study suggests that indole derivatives are present in the Actinomycetes strains and they can be used as biofilm inhibitors against pathogenic bacteria. The online version of this article (doi: 10.1007/s00253-012-3881-y) contains supplementary material, which is available to authorized users. This research was supported by the Basic Science Research Program through the National Research Foundation of Korea funded by the Ministry of Education, Science and Technology (2011-0026639) and was also supported by a grant from KRIBB Research Initiative Program.